Update: The Google Pixel 2 launch is all over, but you can find all of our latest news below so you can find out what Google announced on stage in San Francisco. Today is the big day when Google is expected to announce a plethora of new products, including two phones. 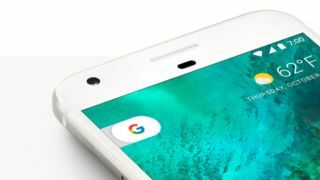 Google is rumored to announce the Google Pixel 2, Google Pixel 2 XL, Google Pixelbook, Google Home Mini and the Google Daydream View 2 headset. We’ll be reporting live from the San Francisco and London events to keep you up to date as things happen, and of course, be sure to check out our hands-on reviews shortly after the event concludes. It's all set to kick off at 9AM PST/12PM EST/5PM BST on October 4 and 3AM AEDT on October 5 for those in Australia. Some events are a closed-door affair with no live streaming available, but this is Google we’re talking about here, purveyor of YouTube. So thankfully, if you want to watch the launch festivities unfold for yourself, all you need to do is tune into the video below. If you're waiting for the event to start, check out our in-depth rumors video, which dives deeply into everything we know about Google's new phone before it's announced. Google Pixel 2 vs Google Pixel 2 XL: which should you buy?